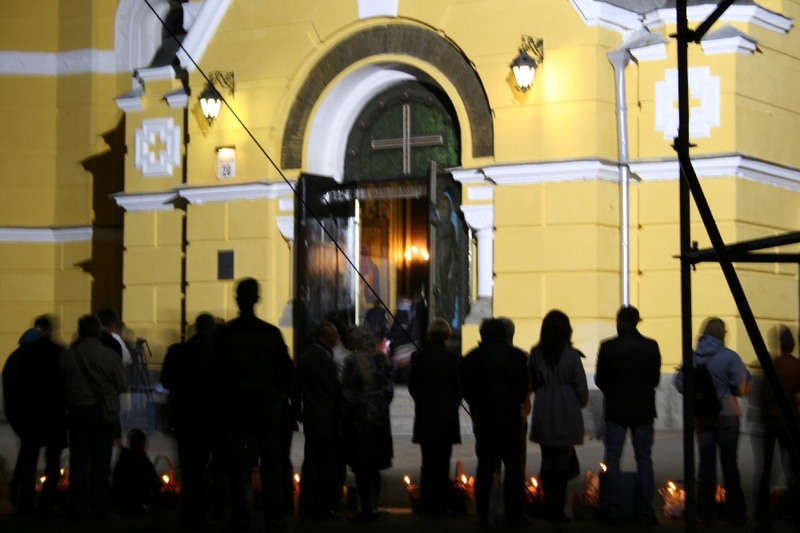 Midnight of Easter I walked down to the cathedral of Volodymyr the Great-- the patron saint of my Ukrainian journey-- to watch the Orthodox bring baskets with candles, and pray. I was not the only one watching. A massive television camera hovered down to the gates, falling to commemorate the resurrection. 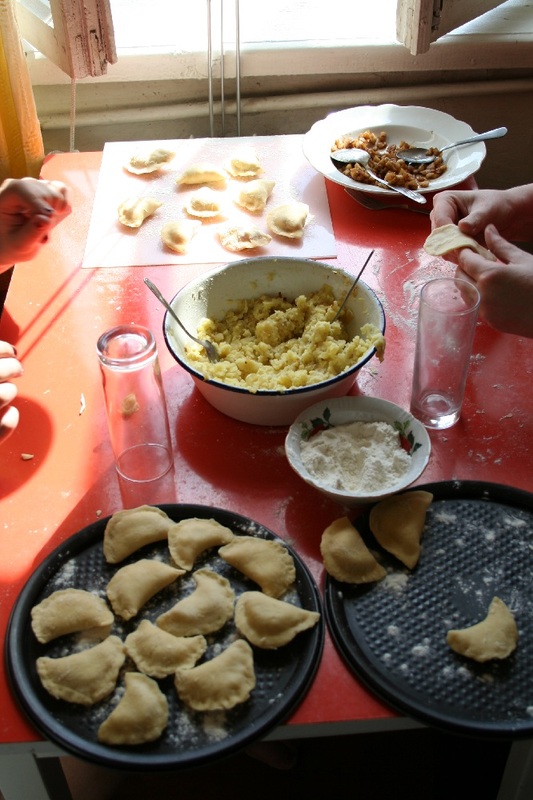 Some very special guests from Lviv, the de facto capital of western Ukraine, prepared vereniki for Easter. 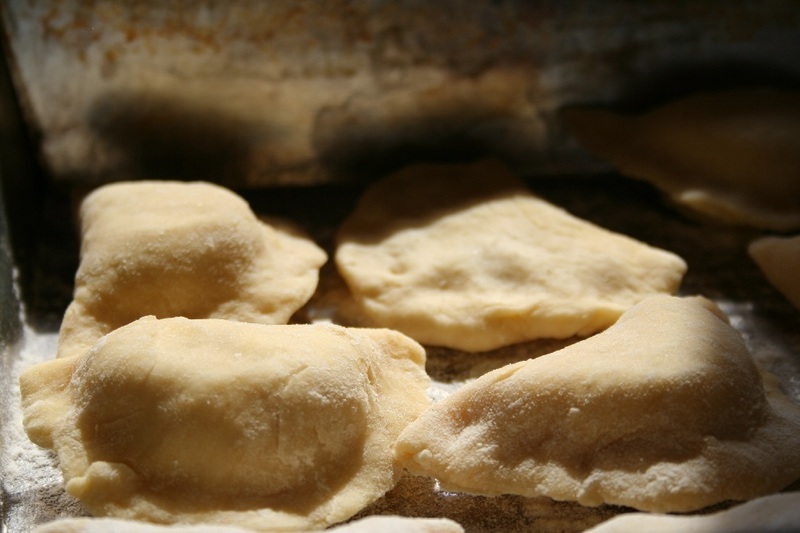 Vereniki are often confused with pierogi by outsiders, but are in fact smaller and more dumpling-like. 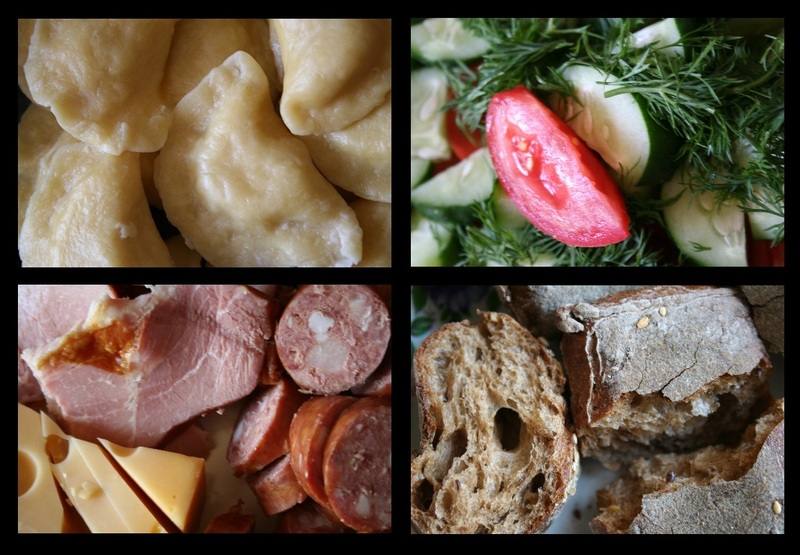 Vereniki can be filled with anything and everything. 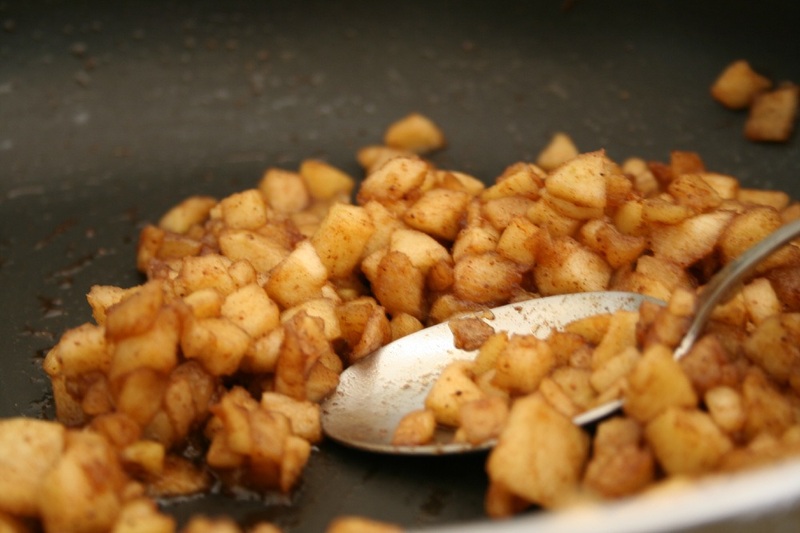 These apples made for an excellent dessert, while potatoes rounded out the main course's. 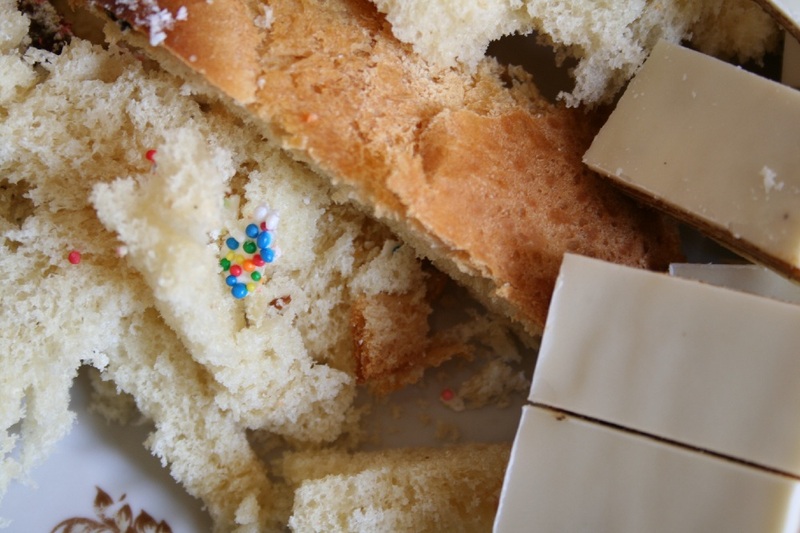 In the days leading to Easter, the streets are filled with women selling paskha: the most common version I saw in Kyiv being little dome-shaped cakes with icing and sprinkles on top, like a home from the snowy Carpathians. I have sorely neglected this blog. In the coming weeks, as I launch into the final stretches of my project and travel more around the country, I will update the past months’ events. This entry was posted on April 24, 2011 by Zach. It was filed under Uncategorized and was tagged with cathedral, Easter, food. The fact that most of this post was pictures of cooking reminded me of a David Sedaris bit about trying to discuss Easter in a foreign land.